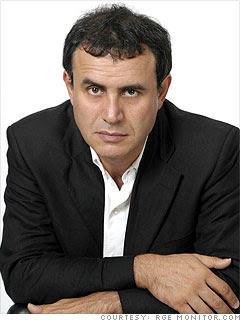 Nouriel Roubini is the co-Founder and Chairman of Roubini Global Economics, an innovative economic and geo-strategic information service and consultancy. Dr. Roubini has extensive policy experience as well as broad academic credentials. From 1998-2000, he served as the Senior Economist for International Affairs at the White House Council of Economic Advisors and then the Senior Advisor to the Under Secretary for International Affairs at the U.S. Treasury Department,. Dr. Roubini received an undergraduate degree at Bocconi University in Milan, Italy and a Ph.D. in economics at Harvard University. Prior to joining Stern, he was on the faculty of Yale University’s department of economics.